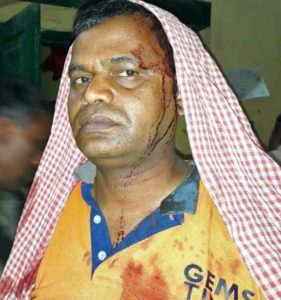 HYDERABAD, India (Morning Star News) – A pastor in eastern India’s Bihar state has lost his hearing after Hindu extremists assaulted him outside his home on church premises last month, sources said. Doctors at a Hajipur government hospital determined the loss of hearing and wounds on Sikandar Kumar’s body were a result of being beaten with iron rods and sticks, Vaishali District Superintendent of Police Rakesh Kumar told Morning Star News. Kumar, 45, was at his home in Jadhua village when a young boy riding a bicycle knocked on his door on April 5, church officials said. The boy told the pastor and his wife that a group of men were waiting outside to meet him, according to pastor Arun Kumar, who is now leading the victim’s Pentecostal congregation.